Can the way we think change our health? 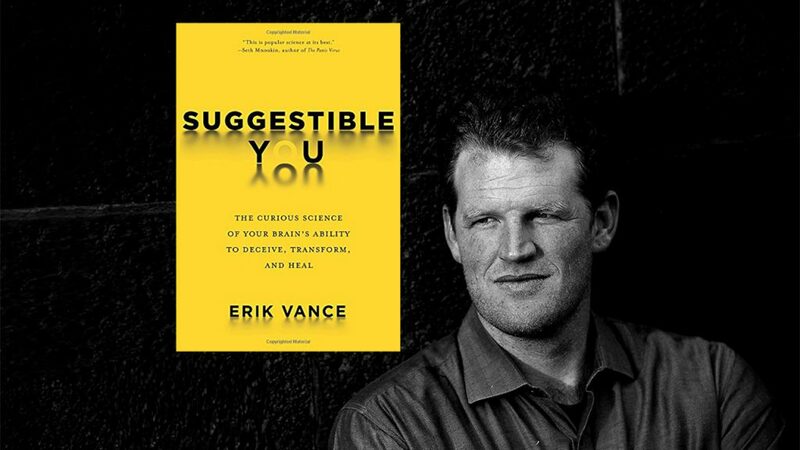 Members and guests met with journalist Erik Vance to discuss his new book, Suggestible You: The Curious Science of Your Brain’s Ability to Deceive, Transform, and Heal, after his Nov. 21 talk at Town Hall Seattle. Vance’s new book explores the ways our expectations and beliefs influence our bodily responses to pain and disease, along with all sorts of other daily occurrences. Drawing on centuries of research and interviews with experts in the field, Vance explores a range of sources—from Harvard research labs to a witch doctor’s office in Catemaco, Mexico. His firsthand dispatches provide surprising information about the power and impact of our own perception.